Now that my son has started school I’m on the look out for more crafts for toddlers that I can do with my daughter. This button pumpkin craft is a fun activity that can be used to celebrate fall or Halloween and is great for promoting fine motor skills. I cut the pumpkin shape out of card and covered it with glue, I recommend using card rather than paper for this because using lots of glue on it can make it a bit soggy otherwise. Before I even managed to grab my camera my daughter got started with this, playing with the buttons and putting them onto the pumpkin. 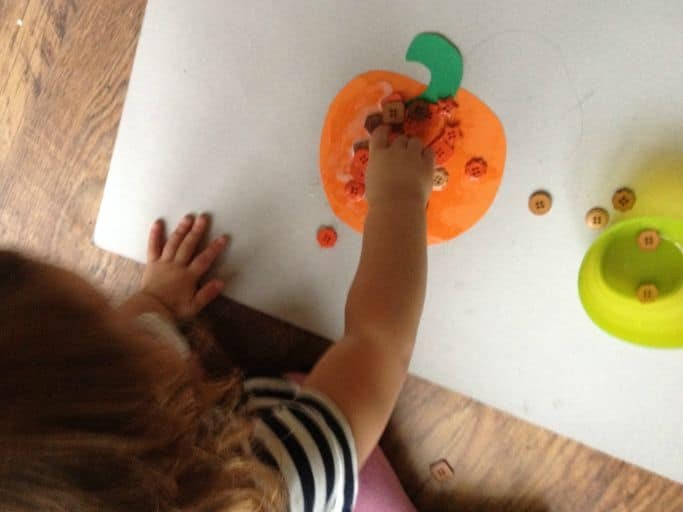 Using the small buttons for this a great way to support the development of fine motor skills and of course it’s a fun way to make a cute fall decoration too! While this is obviously a simple craft for toddlers, when my four year old son saw it later he was really jealous and wanted to make one too! As my toddler had demolished my supply of orange and brown buttons I made him a picture of Leonardo from TMNT to cover in green and blue buttons instead and this kept him occupied for ages! If your kids enjoyed this craft make sure you checkout my new book 30 Halloween Craft for Kids which is full of fun, achievable and totally cute ideas! You might also like these ideas from Crafts on Sea and some other blogs that I love. Love keeping your kids entertained? Follow me on Pinterest for loads more ideas! That is adorable – we are going to go all our for halloween this year and love this idea!! 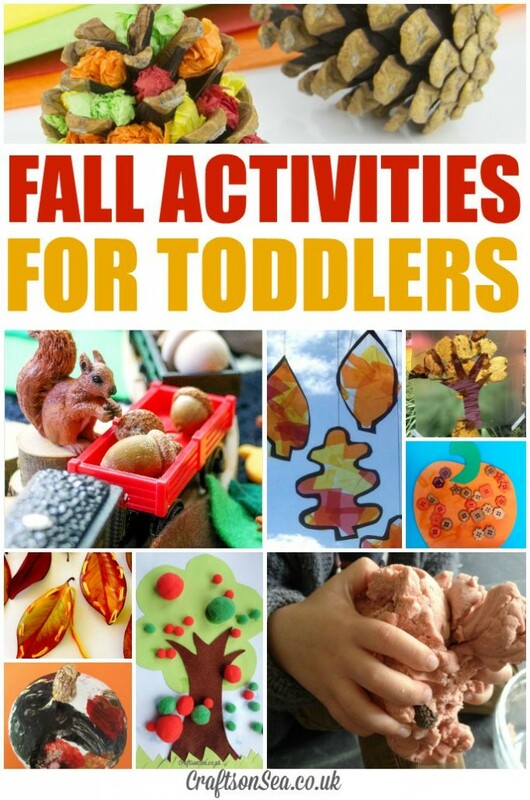 These are looks fun for my kids, I want to give them new activity that will make them interested.